The Princeton Tigertones are bringing their harmonious tunes and joyful smiles to the Windy City as they spend spring break in Chicago! It's been almost five years since the last student singing group came to Chicago on tour. Don't miss this opportunity to join fellow Tigers, parents, family, friends, and Tigertones alumni as we enjoy the time-honored tradition of a capella music over drinks and refreshments. Please scroll down for more information about the "Tones." 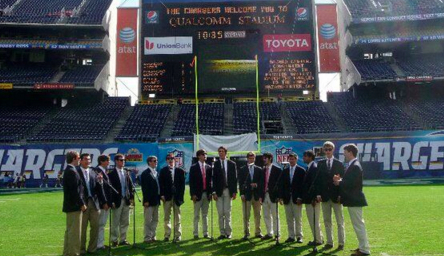 The Tigertones are also looking for additional performance opportunities. If you would like to book them for a private party, office event, school performance, nursing home visit, etc. 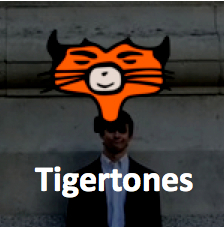 please contact Tigertones Tour Manager, Fergus (Gus) Binnie '21 @ fbinnie@princeton.edu. Thank you! Click HERE to reserve by 3/17! When RSVPing, please remember to answer the questions about guest names, class years, etc. 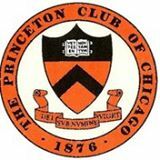 Join NOW to receive PCC Member priority reservation, member pricing, and to support Princeton events and service opportunities. Membership starts at only $25/year. Class of 2017 is FREE, but you must join! 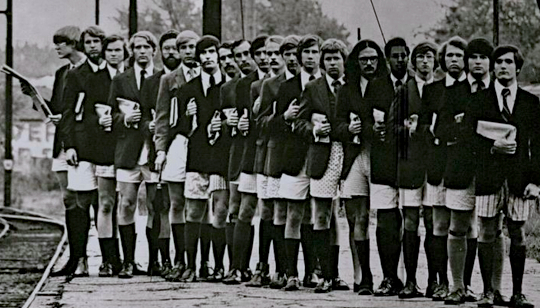 Founded in 1946, the Tigertones are an internationally known all-male collegiate a cappella group. Informally known as "The 'Tones," they have published 32 CDs and draw from a repertoire of nearly a hundred songs that have been arranged almost exclusively by members of the group ranging from traditional choral arrangements to barbershop quartet standards, modern jazz, the "American songbook," and contemporary pop culture hits. The Tigertones have sought to maintain a culture of good friends and good music, bringing this spirit to audiences across the globe. In addition to performing on Princeton's campus, the group frequently tours the United States and the world, and has performed in such storied venues as New York City's Carnegie Hall, London's Barbican Centre, and aboard Cunard Line's Queen Elizabeth 2. 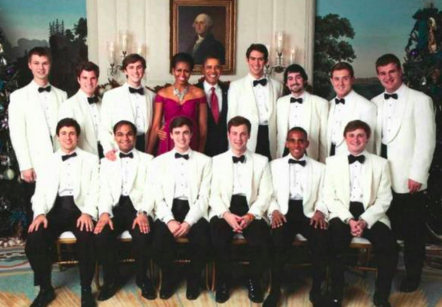 The Tigertones have performed before heads of state including President Bill Clinton and the late Yitzhak Rabin, and, in 2010, performed three times at the White House for an audience including former President Barack Obama and First Lady Michelle Obama '85.